I don't usually bother reviewing products but our latest food processor was so spectacularly bad, I thought I'd make sure everyone was warned off it. When I got married to my first husband in 1991, we got a Moulinex food mixer as a gift and I used it all the time - it had many different sizes of grater, a shredder, and a knife that was great for 'liquidising' old bread into wonderful breadcrumbs. It was great! Being somewhat more of a chef than him, I got it in the divorce settlement. Phew! It finally kicked the bucket last summer at the ripe old age of 26, not bad going for a £50 machine - £2 a year, if you like. Having ruled out grating anything, ever, we resorted to doing that manually (for seven portions of things, this is a pain in the backside). Always trying to see the bright side, we decided at least the spinning knife attachment could be used to make our breadcrumbs (we always dry out all our old bread for breadcrumbs - why wouldn't you?) Wrong again, large chunks simply seemed to rotate uncut till you gave up and took the bread chunks out and chopped them, again by hand, into manageable chunks. 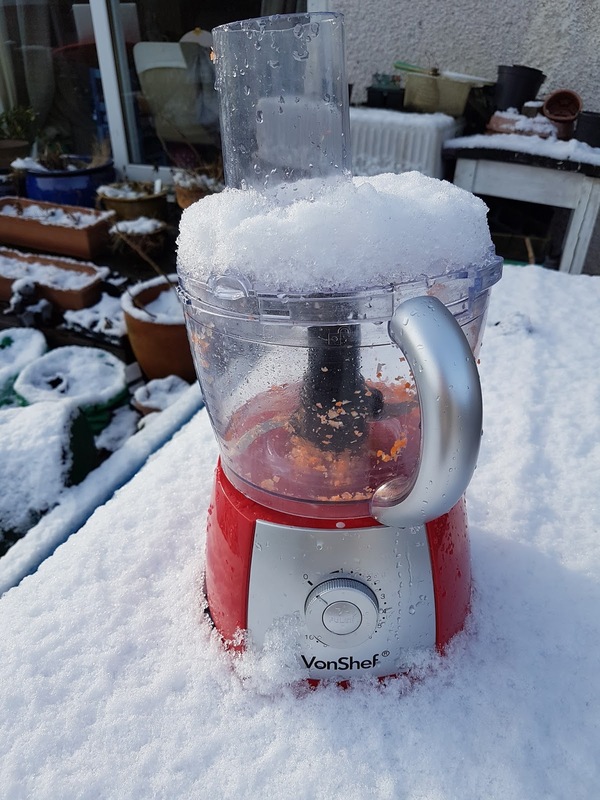 So, if you're looking for a fifty-quid food processor that neither grates, crumbs nor shreds, I'd thoroughly recommend you buy yourself anything by VonShef! I, on the other hand, will not be buying anything by them ever again, just in case!